We can arrange shipping and handling. 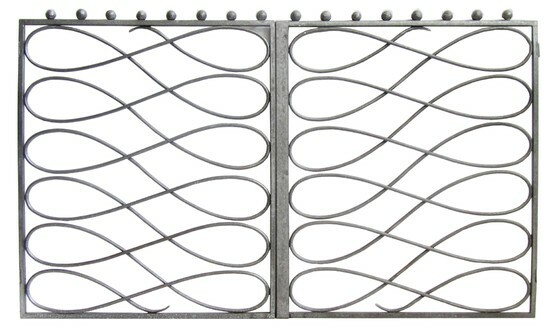 This pair of French Art Deco interior gates are from the late 1930’s. 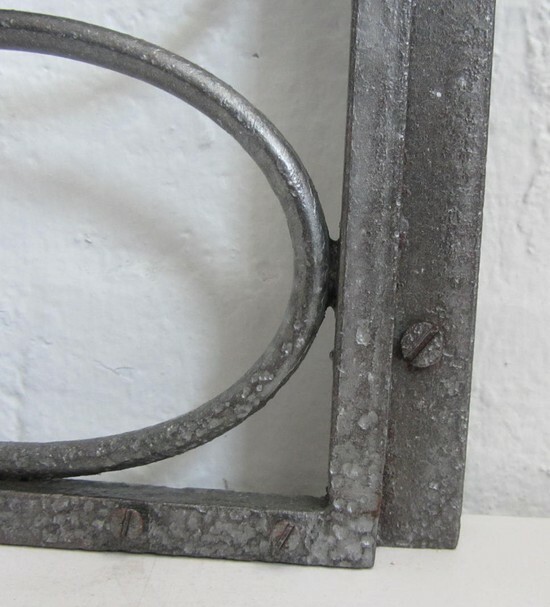 constructed on hand wrought iron, the gates have been cleaned and polished to their original dull silver color and clear lacquered to prevent rust. The “whiplash” décor is iconic to the period and to the work of Raymond Subes as are the sixteen balls across the top. 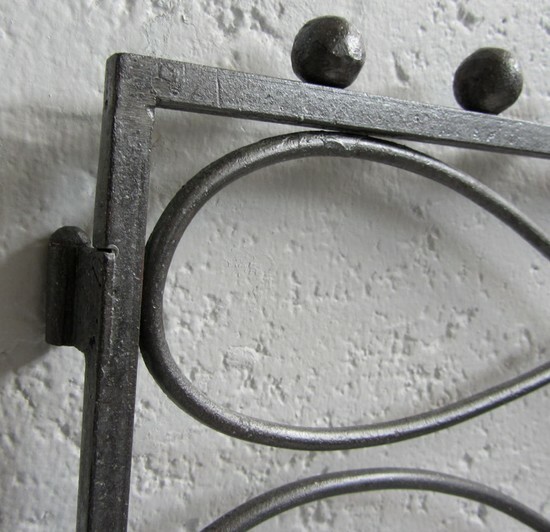 The gates have their original latch and are 29” high and 48” across.